Tripods improve your photos by providing sharper images, by allowing you to take longer exposures in low light situations and allowing you to take photos in harsh environments. 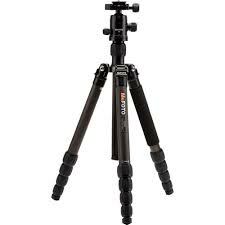 Tripods come in many different price ranges ranging from $30 to $500 or more! This is an area where you should not scrimp. A good solid tripod will be more stable, last longer and be easier to use. The photo to the right is the Me-Foto I use. Their Road Trip model only weights 3½ lbs. and reached to 61 inches high. These are moderately priced at $150+. The photo below is a three shot HDR taken in 40mph winds. A light support would not have worked! Reblogged this on Great Rivers Imaging.